Our receptionists act as an extension of your team, we will answer your calls, take a message or transfer callers to your staff seamlessly. With Contact One, your phone is always answered by a friendly, knowledgeable person, whether you take the call or we do. Capture more leads, retain more customers and generate more revenue by setting appointments 24/7, with the help of our highly trained agents. 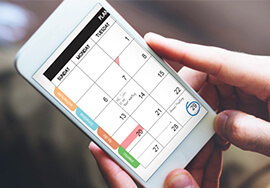 We will manage your appointments using your online calendar, you can focus on your business. 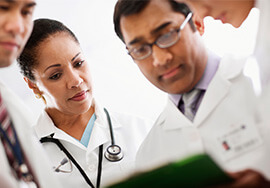 HIPAA-compliant call processing for healthcare providers of all types and sizes. Outstanding customer service is the best way to keep existing customers happy and to earn new business. It’s about more than just treating your customers well – it’s about your bottom line, too. 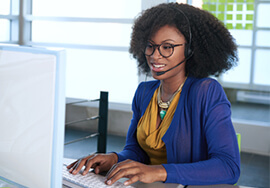 Are Looking for 24/7 live chat support in the US? We can help. Our team can monitor your website and chat with customers real-time. 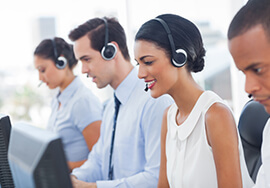 We can answer frequently asked questions, help customers enter support tickets, or just reassure customers they will get the help they need when the need it.